From LA Weekly's 2013 "Best of" issue. You can also read it here. 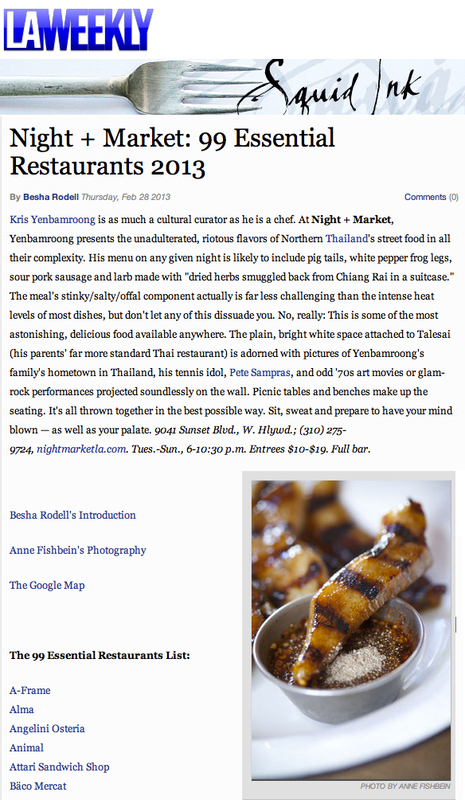 LA Weekly recaps Chef Kris' recent trip to Thailand! 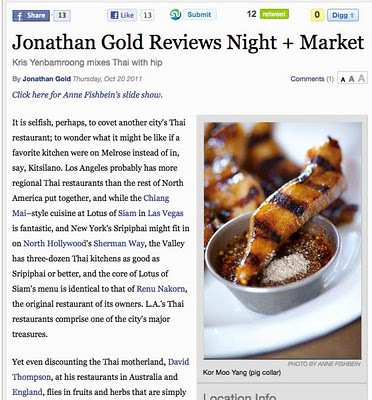 Nam Kao Tod / Crispy Rice Salad on LA Weekly's 10 Best Spicy Dishes! 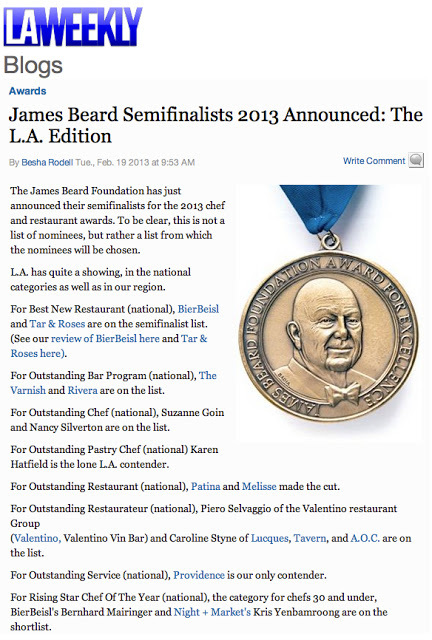 Our Pig Tails in LA Weekly's 100 fave dishes! click on the photo to check out the review on the LA Weekly site. there's an awesome slideshow by anne fishbein.